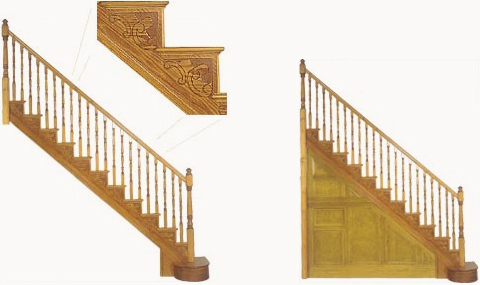 The cut string staircase manufactured in either selected softwoods or hardwood incorporating a unique decorative outer string. It can be manufactured to suit most staircase designs and finished in a choice of colours. 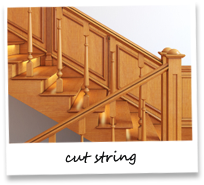 The cut string illustrated, in softwood, has large curtailed bottom step, Leitrim balusters, in a stained and polished finish. 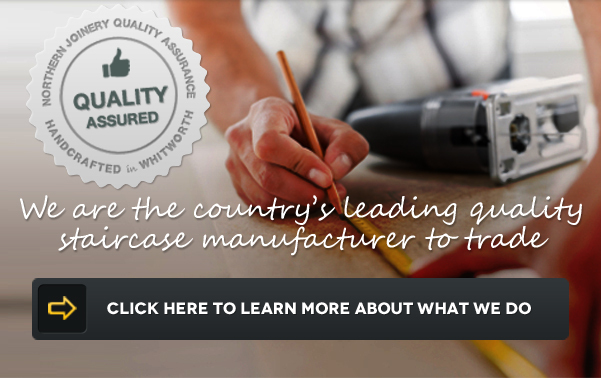 Spandrel frames are available for most types of staircase.